Brown Pundits: The "hospital of death"
Bidhan Chandra Roy (BC Roy) was a legendary doctor and politician (the first Chief Minister of Bengal after independence). It is beyond shocking that the modern state is unable to honour his memory by doing its level best to save infants, yet as the article explores, the rot in Bengal is as deep and wide as the Bay of Bengal. The route to B.C. Roy Memorial Hospital for Children in Kolkata is a pilgrimage nobody wants to make. The overburdened government hospital is West Bengal’s largest pediatric care center, and after a series of high-profile deaths in recent years, it has become a public symbol of India’s ongoing struggle with infant mortality. But the story of B.C. Roy often portrayed in the national media paints an incomplete picture. In fact, the hospital’s case points to a larger system that is failing India’s newborns. 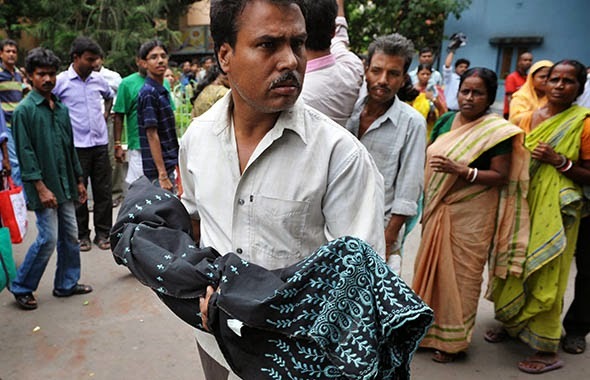 Hoping to blunt a politically poisonous scandal before it spun out of control, Mamata Banerjee, the state’s chief minister, or head of government, who doubles as minister of home, health and family welfare, established an inquiry into the infant deaths. Heading the inquiry was Dr. Tridib Banerjee, a private practice pediatrician (who is of no relation to Mamata Banerjee), and is known as the pediatrician to the state’s wealthy and elite. Dr. Banerjee created the High Level Task Force, comprised of a group of health care professionals, to recommend things like the allocation of new equipment, the hiring of new doctors, and anything else that might prevent future incidents of infant mortality at the state’s many government hospitals. As a result, the intensive care unit at B.C. Roy was expanded, and carefully vetted hires were made. But the worst was yet to come. In September, two years after adding modern equipment that Banerjee assured me was “as good anyone would find in the best American hospitals,” an astounding 41 babies died in the span of six days. But the chances of another headline-grabbing story coming from B.C. Roy are high. According to Dr. Banerjee, the shocking rate of infant deaths experienced in September only represents an increase of about 20 percent over the regular rate at the hospital. In fact, it’s not uncommon for B.C. Roy to lose four or five babies on consecutive days. I visited B.C. Roy in February and spoke to parents of ailing babies. One father, Sujiauddin Saji, a 23-year-old house painter, first took his 4-month-old son Suraj to the local hospital in a district 30 miles north of Kolkata to treat illnesses related to malnourishment. The boy developed severe hypothermia while at the local hospital, and the family traveled to Kolkata looking for help. Members of the Saji family, including Sujiauddin, camped out on the B.C. Roy lawn for five days, waiting for the boy to be nursed back to health. According to Dr. Banerjee, the hospital conditions in Saji’s district, where his son caught hypothermia, are not even the worst in the state. Banerjee toured the state’s peripheral hospitals in 2011, as a response to the original media firestorm. The worst conditions he found were at Burdwan University Medical Center, a place he called “worse than a roadside toilet.” He and other government officials have tried to rescue Burdwan by recommending new equipment and more hospital beds. “It’s better than nothing of course, but we have doctors working 24-hour shifts,” Biswas said. “A few machines can’t help us double or triple our manpower.” Biswas explained that the bulk of his patient load comes from primary health centers that are supposed to function as a first response in villages here but are often unequipped to meet that challenge. One such place is Block Primary Health Center in Barsul, a 15-minute drive from Burdwan, where there are only two doctors serving a population of roughly 150,000 people. Electricity at the Block Primary Health Center goes out every few hours. That would theoretically be a problem for performing complex surgeries, but the center’s lone operating room has been boarded up for several months, sitting empty and abandoned, collecting dust. But electricity issues are a problem for delivering babies, and according to the doctor on duty that day, 350 babies are born per year at Block. The hallways and toilets in Block are filthy, and most of the metal beds in the maternity room are slanted or broken. Many of the babies born here arrive malnourished or premature, making them immediately susceptible to disease. When such babies are born, if one of the two rented ambulances in the area is available to take them, they are then dispatched to Burdwan in the hope that they can be saved. If Burdwan can’t help, the babies are eventually sent to Kolkata for a last-ditch effort to save a life. Too often, those efforts fail. A life spent making mistakes is not only more honorable, but more useful than a life spent doing nothing. See the link below for more info.